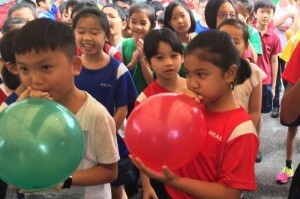 As yet another year draws to a close; R.E.A.L International School, Cheras Campus (RISS) celebrated its annual Christmas Mufti Day with a host of fun and festive activities. Held at the end of November, the morning of the event saw the campus grounds echo with the harmonious and delightful sounds of classic Christmas carols sung by a group of selected RISS students and teachers. The fun continued with an exhilarating treasure hunt activity which was not only enjoyable, but also mentally stimulating as participants had to scrutinize their surroundings in order to unravel clues which would help them in their quest for the ‘treasure’. This was followed by the day’s main event when all the students assembled at the school’s Performing Arts Room to witness a string of song and dance performances. Spreading the Christmas spirit and cheer further during the assembly was a snowman-making competition, with prizes given out to the best snowman as well as winners of the treasure hunt. Hungry for more, a mini carnival was also held to satisfy students’ craving for festive food and drinks, games, song dedications and photo-taking. The various booths set up offered an array of carnival favourites for sale such as popcorn, cupcakes, root beer floats, marshmallows and cookies, among others. Meanwhile, games like ‘Snowman Toss’, ‘Pin the Nose on Rudolph’, ‘Feed the Snowman’ and ‘Ping Pong Toss’ added to the excitement as students eagerly queued up to try their hand at them. The song dedication segment made the day even more special. A week prior to the celebration, students were asked to submit their list of chosen songs and dedications to their teachers and friends in order to be aired by the DJ on the event day itself. As the students sang along to their requested songs, a photo booth was also on hand for the youngsters to keep lasting memories of such priceless school moments. All in all, the festive celebration was a fitting finale for RISS to bid farewell to 2016 and hello to 2017. Check out more pictures of this event on our Facebook page! 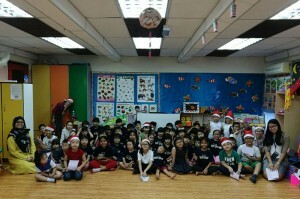 The post RISS Primary Turns Fun and Merry appeared first on best international schools in malaysia.